The North West’s fastest growing companies have been honoured - with a record-breaking consecutive win for Eccleston Homes. The Warrington headquartered housebuilder won the fastest growing overall business and was also named as the fastest growing medium-sized business. This comes on the back of a double win last year and is the first time in awards history that the same company has had back to back wins. He said: “It was fantastic to be included in the 50 fastest growing companies last year so the win was completely out of the blue. We thought we were in with a shout of being included again, as we have had a good year, but to take our second win is just amazing. “I think it is great that these awards celebrate growing private businesses which are profitable. It also gives you the opportunity to take a step back and reflect on the successes which you might not see during the year when you are in the middle of it all. 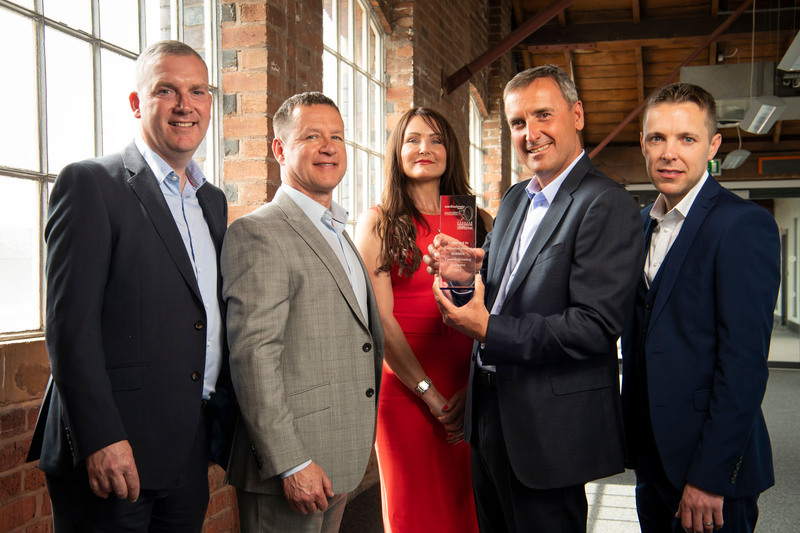 The Ward Hadaway Greater Manchester Fastest 50 2018 highlighted the success of the region’s expanding firms. The companies are all from the M.E.N Business magazine’s circulation area, which reaches across the North West, and have all seen their turnovers grow over the last three years whilst remaining profitable in each of those years. 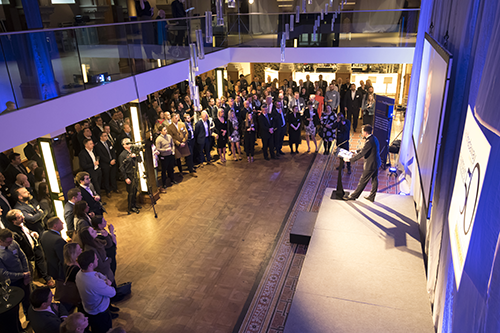 The firms which were unveiled in the Fastest 50 A-Z list were invited to celebrate their achievements with business leaders at an event held at The Museum of Science and Industry in Manchester, where the overall winners of the Ward Hadaway Fastest 50 were revealed. Rochdale-based Frontline Healthcare, a healthcare products retailer and dispensing chemist in specialised stores, won the award for fastest growing small business. They fought off stiff competition from online toy retailer Maqio Limited, based in Middleton, and Converge Technology Specialists who specialise in providing cloud services to law firms across the UK. In the medium category Eccleston Homes were closely trailed by Runcorn’s LPW Technology Ltd and Trak (Global Solutions) Limited who are based in Crewe. Chrystal Consulting, the Stockport-based business which provides capital, lease and managed services to more than 100 public sector organisations including the NHS, police, fire, housing and national park authorities, took home the award for the fastest growing large business. Runners-up in this category included Lundy Projects – a third year for the Stockport firm. And Salford-based Sunshine Cruise Holidays Limited who set up in 2000 and specialise in Mediterranean, Carribean and worldwide cruises. Attendees at the event also heard from Paul Johnson, executive partner at Ward Hadaway in Manchester, organisers of the Fastest 50. He spoke about the contribution the Fastest 50 companies of 2018 are making to the region. He revealed the total combined turnover of the 50 is £2.7 billion pounds which has grown £1.3bn in the last three years. Keynote speaker was Ed Cox, the new director of public services and communities at the Royal Society for the encouragement of Arts, Manufacturers and Commerce. He then challenged the audience in asking: “how far are you using your entrepreneurial success to bring about the social transformation we so desperately need to see?